This offer ended on June 30, 2017 and is no longer valid. Come back soon for the next one! How do I claim my coupon? Press the K button in the main menu. 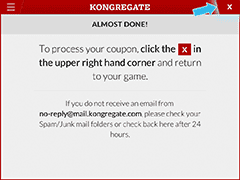 Register or Sign-In using the email address we should send your coupon to. Press the Claim Now button then click the close button in the upper-right corner. 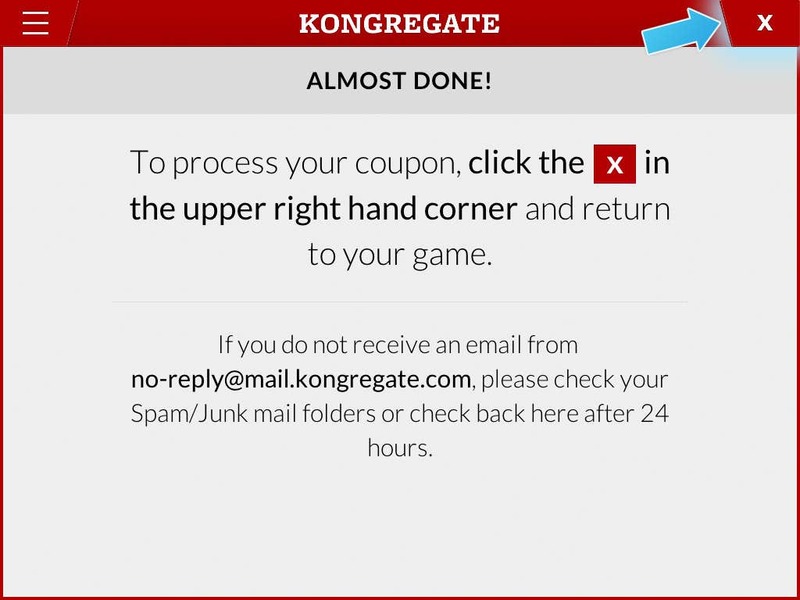 Your single use coupon will be emailed to you in 10-15 minutes and can also be retrieved from the same K panel 24-36 hours later, or in your private messages in the panel or on Kongregate.com! Download Bit Heroes on your mobile device (for free) on the Apple App Store or Google Play. Open the Kong panel by clicking "forums and more" from the menu. 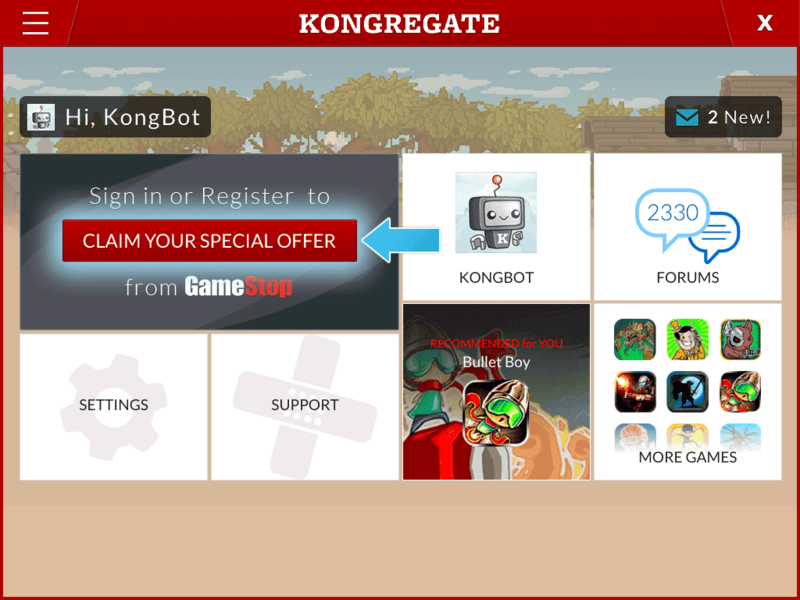 Follow the on-screen instructions (see above for more detail) and you will be emailed a coupon good for $5 off your next GameStop pre-owned item. Your coupon will be emailed to you 10–15 minutes after you claim it in the K panel. Please check your email preferences to confirm your email address. 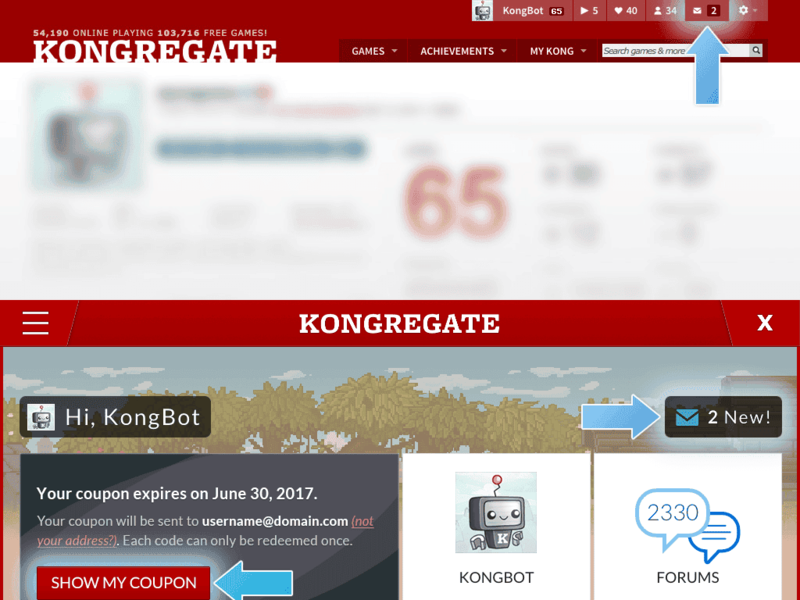 Your coupon will also be available 24–36 hours later in the K panel or by checking your messages on Kongregate.com. The offer and the $5 GameStop coupon will expire on June 30th, 2017 at 11:59pm PST. 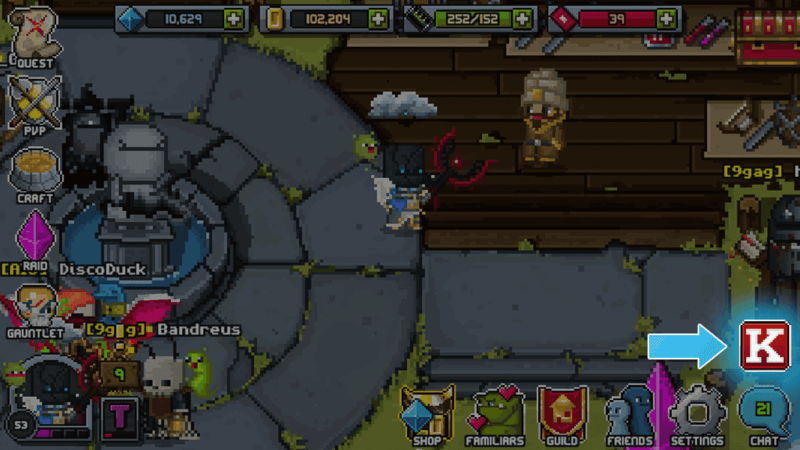 You can do so via the “forums and more” option with the red "K" icon in the main menu of the game. 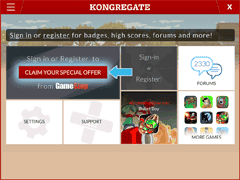 Simply click &apos;sign in&apos; and enter your Kongregate user name & password. Yes, otherwise we will not know who you are and cannot email you your coupon! We will send an email the coupon to your registered email address. Take that coupon to any GameStop for $5 off your pre-owned item. The email will arrive within 24 hours however it typically comes much faster. Limit one coupon per Kongregate account and household. Also please remember that your coupon can only be redeemed once. No, if you want to send your coupon as a gift to a friend that is really nice of you, go for it. However, please keep in mind only one coupon offer can be redeemed per account. First, check to make sure your email address is valid. 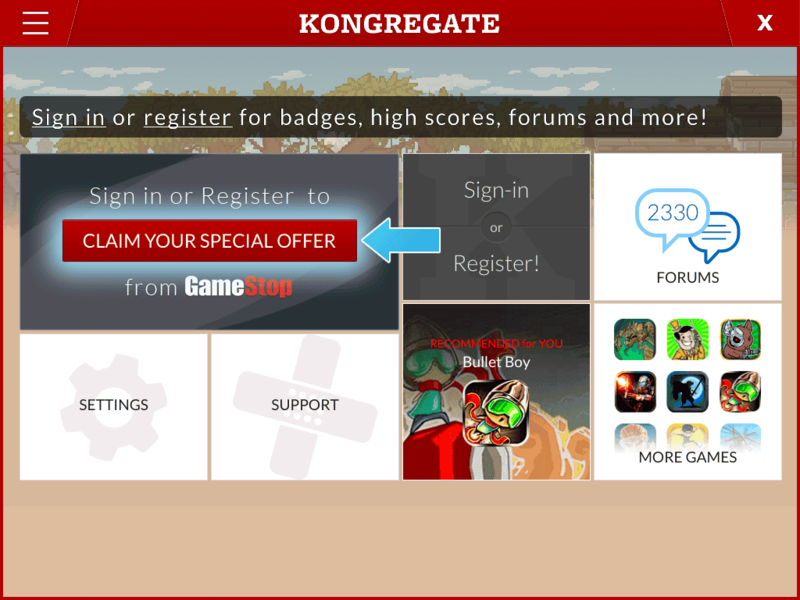 If this is not the case you might have to update this in the Preference center on Kongregate.com and try again by logging out of the K panel in the mobile version of Bit Heroes and logging back in. Second, check your spam folder to make sure the email did not get sent there (and while there, please mark our email as not spam). Third, contact support@kongregate.com if you have additional issues. But please make sure you have taken the first two steps first as we will want to verify you have tried these! We’'re sorry but in order to claim a coupon you need to be able access the Kongregate panel from within Bit Heroes. If your device isn’'t compatible with the game you will be unable to claim a coupon.